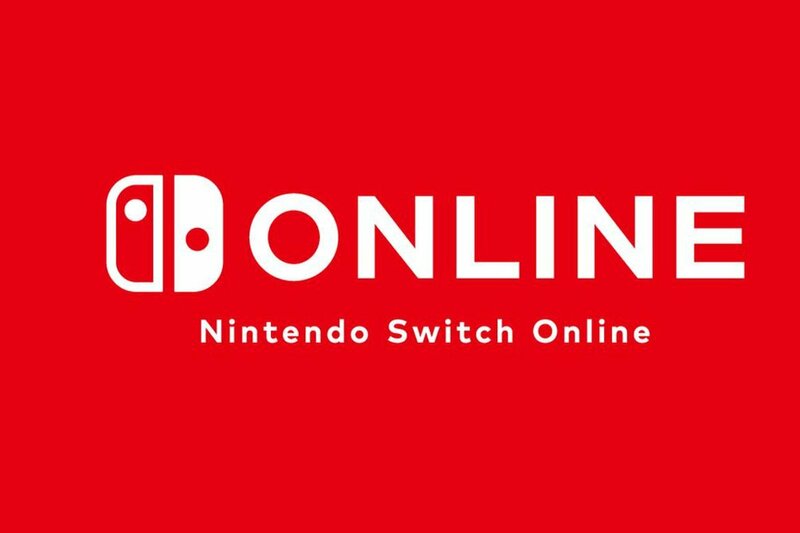 Nintendo has finally provided figures relating to its Nintendo Switch Online service, revealing that more than eight million users have signed up since launch. The news comes from a corporate management policy briefing held today by company president, Shuntaro Furukawa. He states that the total number of subscribers - which, in this case, includes non-paying accounts within family memberships - has now surpassed that eight million mark, not including users enjoying free trials. You can see the full statement below. "In last September, we launched Nintendo Switch Online, a paid service that expands the online functionality of Nintendo Switch. Nintendo Switch Online has had a good start, with the number of subscribers surpassing 8 million accounts not including free trials. In keeping with our goal of providing Nintendo Switch owners with “More Games. More Features. More Fun,” we are working on continuing to expand the service offerings." As you can see, Nintendo is also working on ways to expand the service, presumably giving its subscribers more value for their money. How exactly the service will be expanded wasn't explored in the presentation, so we'll have to wait and see how it evolves over the next few years. Are you signed up to the service? What would you like to see as part of Switch Online? Let us know in the comments. Yes because i need it un order to play smash and Splatoon. VC n64/GC that's what I want and dedicated servers. Hmm, is that a lot? it's a honest question. It would be interesting to know the online user base on other platform so we could compare it better. In my view, at the moment, 8 million is not a lot when you are talking about a user base of over 30 million devices. I would like to see N64 games for Switch Online. Preferably with an option to buy them, so that I can play it anywhere without needing internet. @tourjeff Depends. Its just under a third of the user base for a service that is basic at best. Aside from NES games nothing has changed from the free period. When Nintendo start making improvements, if the number of subscribers doesn't go up (in percentage terms) then its a failure. I think they've presented this number as their starting block, so neither good or bad. Gee, thanks, guys. Now Nintendo will never improve this joke of a "service". I don't blame them. It's an incredibly easy revenue stream for doing almost no extra work. I haven't subscribed yet and I don't intend to for the forseeable future. I will consider a family account if I can find 6 other people, but I am in no hurry at the moment. SNES, Game Boy, GBA, and N64 games on the service and I am happy. @Silly_G I actually happen to think they are more likely to improve a service they see as profitable. Nintendo’s Online service is the one thing I’ve been most critical of. It’s archaic, borderline broken, and added too little, even at the dirt cheap cost. @Silly_G cool. I have space for one. @Strumpan @jswhitfield8 I don't know, for £20 for one year membership it should have a higher number of users. I mean it's really cheap but again, the service is really, really basic. Personally I don't see any difference between now and when it was free, apart from the NES games obviously (that I've never played on the Switch) and cloud saves. I really hope they will improve the service, I'd love to see Wii and Gamecube games available to be purchased and N64/SNES as freebies like the NES games are now. you can improve by giving me the option to directly invite players via the UI. Also, can I chat via the Switch / Bluetooth and not an combersome additional app. Nice cash bump for something which was essentially free the year before. Hopefully they’ll keep updating and improving as they go. I’m fairly happy with what I have so far. "Are you signed up to the service? " "What would you like to see as part of Switch Online?" ”we are working on continuing to expand the service offerings." Yeah I'm not getting my hopes up just yet. @Heavyarms55 : Perhaps, but complacency is a temptress most foul. Just putting SNES games on will entice people to sign-up. @Silly_G A fair point. However one is not likely to invest in a service that brings no profit. But the features available now on XBL and PSN show that a service is more likely to improve over time than not. Sure, Nintendo could have started with more. But with how basic it is now, you can’t really get worse. I have not subscribed yet. Nintendo should offer extra 10 percent off for games on sale on Eshop like Sony does with Plus. I would then sign up. I've got to say I'm very surprised that some people think this is a low number. The main reason to subscribe is to play online, those who do just to play NES games will be very low in numbers even though I'm in that bracket. The biggest selling online focused game is Splatoon 2 and that is around the 8 million mark too and I doubt all 8 million are still playing it. Whilst Arms is only around 2 million sales. Mario Kart 8 and Smash have higher sales but their focus is clearly solo and local multiplayer and whether you agree or not, most players won't ever go online with them. Outside of these you have Mario Odyssey and Zelda which are obviously single player and no other online multiplayer game at even a fifth of the total subscribers. The irony is that Fortnite is likely the biggest online game for Switch but doesn't require the subscription. It's very frustrating to have your favorite multiplayer games play like s*** online. The real point will be after a year has gone by. I imagine many will have been fine dropping 20 bucks / 18 quid on the sub for a year to test it out. When the year is up they will decide if it is worth renewing. I just want to play Splatoon 2 and Mario Kart 8 online and because of that that I subscribed. But I would like a way to change or hide the country flag. This is just stupid. Objectively speaking, yes that’s pretty good adoption rate for a service launch less than 5 months old from a company that never charged until now. If you assume at most half of them are family account users, it’s also still a lot of money to make from doing almost nothing. Even if you do not like the service at all, to say the numbers are low and the revenue is a failure is actual ignorance. It’s like saying PS4’s online community is crippled because less than a third of their users pay for PS Plus. Having my precious Breath of the Wild save backed up to the cloud was worth my $20 alone. Being able to play the Famicom versions of my favorite NES games is also a nice treat! Also, having real player help against Smough and Onstein in Dark Souls Remastered saved that game from getting sent to a landfill! My $20 has gone a long way! @SCAssassin the problem with the 8 million figure is that its not a “active subscriber” count. While PS4 and xbox actually provides actual active subscription numbers. I am, and I have no idea why. I don't really play online (except for Splatoon) and I don't play the NES games either. @diwdiws it technically is referring to the number of accounts currently subscribed to NSO, which excludes accounts using free trials. Later in the briefing Furukawa mentioned that it was key to keep those subs retained throughout the year and to increase it. I paid $20 for it out of the box because I just naturally assumed it was something. Playing online together with Nintendo games is an ordeal and totally not worth it for me and my friends and a bunch of Nintendo games doesn't really add any value to me or most people that aren't already Nintendo fans. I'm sure die hard fans love it but I think most people just try few and screw around for a few minutes before closing it and never opening it again. The service may be ho-hum to some players, but for Nintendo? :::: MORE IMPORTANTLY, virtual console titles no longer compete against new releses in the same price range. You think big publishers are sick of trying to compete against Nintendo's boxed releases? It hasn't exactly been easy for the smaller guys to sell a Zelda-like for $8, on a virtual store where Link to the Past also costs $8. And the same ten old Nintendo items were always on top of both the sales charts and user review charts. If this service takes off suffeciently well, it's a win on most of the fronts where Nintendo have previously suffered. And hopefully, it will also amount to some improvements to the service, so the players don't feel ripped off. It’s disappointing in that it’s a low number and that has severely reduced the Online player base. It’s also disappointing if they’re happy with it as, unless Nintendo really have changed and lost their old complacency, they have little incentive to improve the service. I'm subscribed. Mostly for the NES games. Rarely play any of my games online. I'd love to see SNES games, free Nindies, discounts on eshop, and other "special offers" besides paying for NES controllers or free Splatoon 2 cosmetic gear. I'd rather have virtual console and keep the classic games I bought rather than pay for an online service I'd never use. No matter what games or systems they add to it you'd still only be renting them as it is now. An account system is now in place. You can link said account to 3ds/wiiu. Therefore your VC purchases should transfer over, I'd rather them transfer for free like crossbuy on Sony platforms but a "one time" fee to transfer from old to new gen for all classic games wouldn't be bad either (ex $20 gets you all VC games you purchased on 3ds/wiiu). Why lock this part of the behind a paywall? More options means more money for Nintendo right? I hate sounding like a broke record but this absolutely irks me to no end. If we all had stood firm when these companies announced we had to pay for online gaming and refused we would be in a much better position today. But no! You just had to play online no matter what, you couldn't go months without a kart race or a round of smash. I go without online gaming at all, so subscribing to the online service is just a waste of money. @JackEatsSparrows "PSN show that a service is more likely to improve over time than not." Really, I feel just the opposite about it. I signed up for PS+ when it was first available on the PS3 and have had it fairly consistently since this, maybe missing a few months here and there before paying for a new subscription, and for me it's been pretty much downhill. When it started it was $50yr and they had a set amount of things to give, something like 2 retail games, 2 indie games and 2 themes. Then they added the IGC (instant game collection) so that no matter when you signed up yo''d have access to all 12 of those games. And you didn't need it to play online on PS3, still don't. Then when PS4 launched you were required to pay for PS+ to play online. Maybe for you and others that's an extra benefit for the money, but for me it was a sneaky way of forcing people to pay-to-play online. But it was still worth it as I was now getting games on both PS3 and PS4. Then they raised the price from $50 to $60. And this is the last month PS3 and Vita are getting games, so it's $60 for PS4 only, and you need to pay to play online. I don't see how that's an improvement over time. An improvement for Sony's balance sheet, but not the consumer. My subscription expires this moth and I wont' be renewing until I see what they add to make up for the lack of PS3 and Vita games. I know they expanded cloud saves from 10GB to 100GB but I dont' need the extra space. I also use thumbdrives for my save files. I wonder if Nintneod will ever give us thumbdrive save files now that they have us paying for NO? I'm nto saying NO wont' get better, there's a very good chance it will as it's so basic now, though that will likely come at a cost, I just dont' think PS+ has improved, I think it's gotten worse. PS Now is better w/ downloads rather than all streaming, but that's separate. I don't think Nintendo will do a separate streaming nomenclature when they add SNES, N84 and Gamecube games, just add to the cost and call the higher paid tier NO+. So it’s not $160mil, and we can’t guess how much they’re pulling in without knowing how many family accounts are subbed. Its definitely less than $160mil. @Old-Red @electrolite77 reduced the online player base for what games? Only Splatoon 2 has sold in significant numbers for an online focused game. Everything else that has sold in the millions is solo and or local multiplayer focused with only Smash/Kart having online components and most of those owners won't be online gamers. @Hobbesyall Even PS4 which has multiple huge selling games which are designed for online play has less than a 40% subscription rate, yet Switch which has 1 big selling online game is somehow expected to get similar numbers? @rjejr I meant in terms of when they first started, but your points about current PS+ are useful. My own experience is from 9 years of XBL starting on 360, and I never had a problem with the value I got from the service. @JackEatsSparrows Only Xbox I've owned was a X1S for about 6 months, traded it in for a Swtich - which was the plan when I bought it - but MS does seem to know about online, and from my standpoint they've certainly gotten better. One reason I didn't buy a Xbox360 when Kinect came out and I wanted 1 for my young kids was b/c you needed to pay for Live Gold in order to use Netflix. Yes, I'm that shallow I considered that a strike against them, NF was just getting big back then. So Live has gotten better. And not needing to pay for Live has gotten better. And Game Pass is really good from my point of view. I'll take rentals over ownership when the rental prices are reasonable, something PS Now has a real problem with. Or at least it used to when it started. So yes, if Nintneod wants to follow MS NO should get better. Most of my experience has been w/ Sony though, and that just seems to mostly get worse. Nintneod is it's own company though, never can tell with them. @misterMike I never said otherwise, you do realise that article is about how much money they made through the store though and not about subscriber numbers? For a less-than-stellar service that launched ~4 months ago, these numbers are quite strong. @carlos82 Due to the subscription I have not bought Dark Souls, Monster Hunter, Mario Tennis and Smash. That's quite a lot of lost revenue which unfortunately will never be accounted for. I'm sure I'm not the only one who has avoided online focused games since the sub either. Any Online game. If 75% of the userbase aren’t Online that reduces your userbase. It doesn’t have to be one that’s sold more than 8 million. Any user who might have had occasional Online games of e.g. Dragonball, FIFA, ARMS, Doom but isn’t paying the sub is lost to the player base. You’re not. That’s a great point. @tourjeff the last statistic for PS+ was last year in march. Around 34 million subscribers of the 73 million ps4 install base. Xbox live is usually close to half as well. Though they've stopped reporting. 8 million of 32 million installed base is just under 1/4th. Not terrible, but not great either. Especially when you consider the competition costs 3 times more per year. Take into account that the existing user base probably just threw down for a year when their favorite games got interrupted and more who wanted to play smash online. There is no telling how many people will let their subscription lapse. Which does happen. Its what I do with my Xbox. I'll wait out a good deal or until my friend finds a coop game that is Xbox exclusive and get myself a year. PS+ is the only one I go uninterrupted and I try to play on PC for multiplayer whenever possible. So you have those kinds of players too. I love Mario kart 8, thats my mp game. However my experience with Nintendo online has taught me it isn't worth it. Most of my friends do not own a switch. There is no incentive program like games with gold or PS instant game collection. Which usually sees a huge net savings. The discounts tend to more than make up for the cost too since usually plus and gold get an additional 10 to 20 percent off during sales. Nintendo only offers sales and they don't tend to be very good ones. Especially when compared to the relative frequency and size of the discount. The Nintendo tax has put me off more than once, just like the switch tax. So the short answer, it's not awful, but I'm waiting a year to see how many people stay. I'm sure the die hard Nintendo folk will. However the trickle of new releases and wonky online play aren't enough to even get me to hop on, I wonder how many will stay once the novelty of NES online fades and users find other games to play online that may not be on switch or the user base slumps for online as new single player games and life pull them away from older titles. Which happens on every platform. Statistics can be googled to be verified. PSSL, kotaku, and Eurogamer will usually scrap that data for articles. @misterMike I'm not arguing the quality of the 2 services at all and completely agree that Switch online is a long way behind it's competitors in every regard. How is it a lie what I said about online games? Splatoon 2 is the only game in that list of yours with huge sales built primarily for online play like I said with Arms at just 2 million. The rest have online functions, none of which is the main focus of the games and the likes of FIFA and NBA have very few sales on the Switch so will have little effect on subscriber numbers. @Old-Red well this is the first good argument I've seen and does make sense to an extent. I will say that neither Dark Souls or Smash is online focused with the vast majority of their content either single or local play but I can't argue your personal reasons. Agree with all that. Charging users to access Netflix was ludicrous. I didn’t get Online with my OG Xbox and never had a 360 so XB1 has been my first experience with Xbox Live. It’s very impressive, especially when coupled with Game Pass. @electrolite77 Yeah I get that but these games sold in such small numbers so would always struggle. What I'm trying to get at is why a console with only 1 huge selling online focused game should have more than a 25% subscription rate? PS4 has many of such titles yet only gets to around 40%. @NEStalgia not sure we can say that most of Nintendo's releases, the big ones, have been online. MK8 sure I guess, splatoon 2, I kind of draw a blank. I guess smash, but that had always been more of a couch game like mk8. Beyond that I'd say Nintendo's library doesn't support online very well either. Lack of proper infrastructure and system voice party chat doesn't help either. So I'd say Nintendo's own support is pretty weak. Xenoblade, breath of the wild, the many ported Wii u titles. I'm happy for the great single player support at least. @rjejr Yeah, it all comes down to whether it’s worth it to ya 😁. Nintendo is def their own thing. It be neat if they at least brought something like the ‘mail’ system from Wii back. The “Gold for Netflix” didn’t last terribly long, but that was definitely silly. I think it was an idea to draw subs on new users, but since Wii and PS3 didn’t require that, they wised up to the backlash. I got a Family Account for my hubby & I. We then sold access to some of our friends as well, it was cheaper for them than buying individual or family memberships for themselves and we recouped some of our initial investment! Win-Win! Because Nintendo have made quite an effort to make the Online look attractive. Mario Kart has sold 15 million, Smash 12 million, (2 of the systems 3 biggest sellers), Splatoon 2 is on 8 million, Super Mario Party 5 million, Arms and Mario Tennis have cleared 2 million, Pokken over a million. Not to mention all the third party stuff like FIFA/NBA, Monster Hunter which have a heavy Online focus (Rocket League at least mitigates it with Cross Play and Fortnite by being Free). All those games have suffered a hit to their potential player base. Now that the Wii Shop is dead, Nintendo could offer Wii and Gamecube games in the Switch shop. After all, they have launched Super Mario Galaxy on the Nvidia Shield in China, and that uses a very similar chip to the Switch. I thought maybe this was an experiment to oave the way for Wii games on Switch, and the joycons could easily replicate Wiimotes. I still haven't subscribed, I'm still awaiting value. Literally very little has been added to the service with the money they've gotten from initial subscribers, so they are not really putting anything back into it. Heck this month they added less NES games even in NA. Until they add more content or make the service better I'm going to keep holding off. I'd say that the Cloud Backup feature is worth the $20 alone. Well, those extra goodies had better come as soon as they can. I have yet to say I'm getting some value out of the money I spent for this. If only Pokémon Let's Go, one of the titles needing it the most (Mew is locked behind a 50-something price tag), supported it, I'd say you were right. I've subbed to the service for the online multiplayer and cloud saves. I had a pretty good experience with the online play and the NES games are an all right distraction, as well. With that said, though, I hope they make it better soon - add a messaging system for people on our Switch friend list, don't restrict voice chat to that silly smartphone app, further reduce lag for everyone (especially with all that revenue Nintendo's grabbing - perhaps they'll invest in dedicated servers), add games from Nintendo's other legacy systems (like SNES and N64), and why not give us exclusive eShop deals, as well? It'd be sweet if they had both retro game rentals via Switch Online and Virtual Console games and if you get discounts for said VC games while you're subscribed to NSO. Nintendo said they would expand the service, so I'm hoping they will get around to doing at least most of the stuff I mentioned sooner or later. If they do, their subscriber count will likely go up. @electrolite77 "Agree with all that." No offense to you, I'm mostly getting hammered on PS. Yeah I’m very in at the minute because of the financial information. Got Brexit fatigue so I’m on here, this weekend I’ll probably go back to the football for a bit, then who knows maybe there will be a Direct to discuss? As for Push Square, you know the rules. You can’t go on Push Square and in any way question the almighty God Sony. I like the site because of the news portion, but I rarely bother with the Comments these days. Too myopic by far. @SamusLv7 you weren’t aware that you don’t need an internet connection to play the games in the NES collection? @MarioLover92 why would you buy games you can already play for free? @dougphisig are you having a lot of fun playing Smash online? I am! It’s TWENTY DOLLARS for a YEAR. I don’t understand why people don’t see the value. If you can afford a switch and games you can afford 20 bucks. If you and a friend went to McDonald’s you’d spend 20 bucks. It’s not a large amount of money. @rxchrisg As someone who is not interested in most of the NES games, this offer little value to me. 8million and one. I just subscribed for a year. @rxchrisg Even when I had smash bros for wii u and wii I never really played it online, i'm more for playing with friends IRL. Therefore why purchase the online service if i'm not going to use it. I'm not throwing 20 bucks to them until I feel the value is there for everything else. IF I had the online I'd play it on occasion probably, but for now I'd rather wait until I feel they bring better value to the product. If you and your friend went to McDonalds and all they were going to give you was a bun with some lettuce on it would you want to pay for it. That's how I compare it, I'd rather go somewhere else and if they can give me a fuller product later I'd then be more willing to eat there just to give you an analogy. If you are ok paying for an underwhelming product more power to you. Awesome! Its good to see that switch online is doing good, it deserves it. We actually have nothing to base our assumptions on as to whether it is a high or a low number, just saying. @electrolite77 A Direct would be nice. Hard for me to worry about Brexit while my President tries to start WW3, I think he's going to try and enlist Russia to help fight Mexico, but they do seem like 6 of one, half dozen of the other. @dougphisig so you feel that they need to add value to their online service in order for you to buy it,even though you readily admit you don’t like playing online? Because value is subjective. What is value to you won’t be to others. I’m amazed this needs to constantly be explained. Yeah they’re similar. A country losing its mind. It’s exhausting. I could be said to be quite prone to guesstimations myself. @electrolite77 "A country losing its mind. It’s exhausting"
Right now, at this very moment, as I read your email, my wife and 16 year old son are discussing how horrible all societies are, war seems to be the only solution, and everyone should just die. Especially the activists. @NEStalgia there is no argument to be made here given how small the switch online user base is.